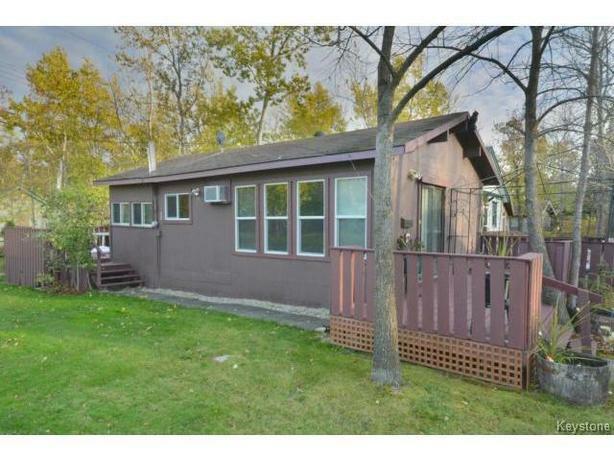  Log In needed $84,900 · Grand Beach Cottage-Great Price !! GRAND BEACH - RARE CORNER LOT - PRICE REDUCED $84,900 . First time on the market in 20 years! This bright and fully furnished 3 bedroom, 1 bath, corner lot cabin on leased land in the Provincial Park, features a great open concept. Has vaulted ceilings though out with perfect overhead storage, fully insulated with newer upgraded windows + doors, upgraded kitchen and bathroom. Sleeps 9, 4-piece bathroom, fridge, stove, microwave, loads of kitchen cupboards, Dyson vacuum, 2 window a/c units (both newer, one new 2014) and electric baseboard heaters in every room. Is wired for MTS phone, MTS High Speed Internet and Shaw Direct satellite system. Has 100 amp electrical panel + 60 amp sub panel and so much more! Outside features a large corner lot, huge front and rear decks (approximately 450 sq/ft) giving you almost 1100 sq/ft total summer entertaining space, 2 car parking pad plus more parking on the side yard for your toys etc., Fire pit, 10x8 metal shed, 1500 gallon holding tank and 500 gallon fresh drinking water cistern. But most importantly... JUST A SHORT 5 MINUTE WALK to the main beach at GRAND BEACH and a two minute walk to the Community Club, Lagoon or the community of Grand Marais. Call now to view this rare opportunity, and yes a free canoe and all the accessories with purchase. Must Sell as owner has purchased another property.Located at 19 FIRST STREET, Grand Beach (at corner of 2nd AVENUE) property.